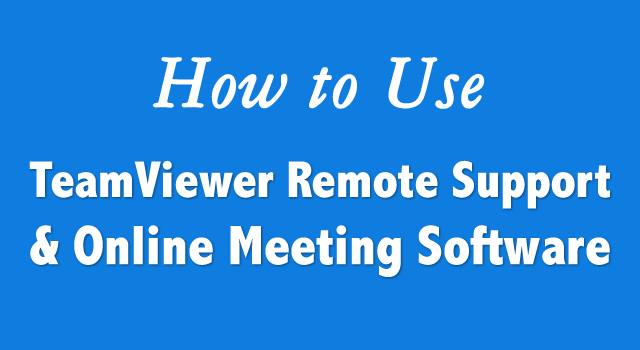 Remote assistance and remote screen sharing are very important at many time. My sister is new to internet and computer and I often have to teach them many thing over the internet. I have searched for some of the best screen sharing solutions and I came across Team viewer. Team viewer is a free to use remote screen sharing software for non commercial and personal use. The software is very easy to use and you can easily take control of your friend PC using team viewer. This software is available on all the major OS, that includes Windows, Linux, Mac OS. Team viewer iPhone and Android app are also available, which made connecting to your PC from smart phone easy. The latest version of Teamviewer also allows video calling, which puts this software into the list of app for video calling. How to use Team viewer? If you going to use The team viewer frequently, install it else run the software. In my case I click on Run. Now on the next screen you will see ID and password on the left hand side and create session ID on the right side. The id and password given on the left hand side, you need to give it to your partner. In case if you want him to take control of your PC. 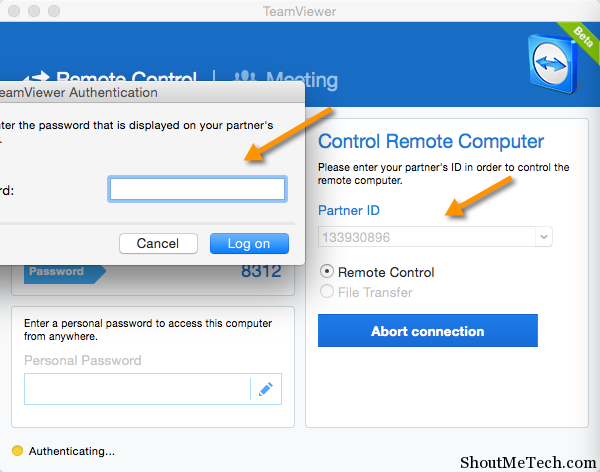 How to Connect to other Teamviewer user? Create Session, right hand side is use to connect to your partner computer. You need to ask him for the partner ID and password given under the Wait for Session (left screen). Once you have his ID and password. Enter his ID into Create session box and on the next pop up enter his password. By Entering his password , you will be able to see his computer screen. and you can do everything on his computer. 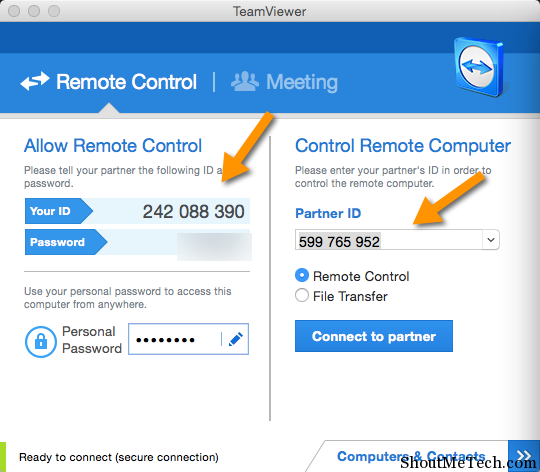 With the Teamviewer bar, you can always switch the control between you and other users. You can also have multiple users connected at one time, which is good for group work. Below is a screenshot of me using Teamviewer to control remote computer. 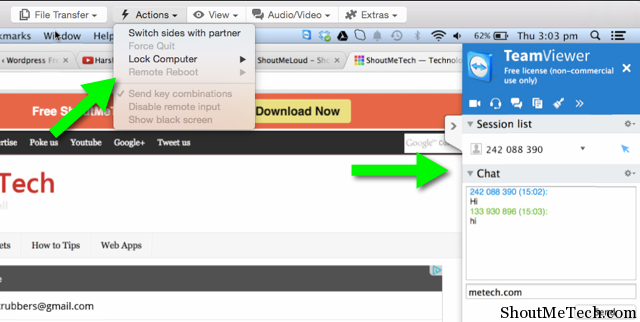 You can also click on Extras > record to record a team viewer session. 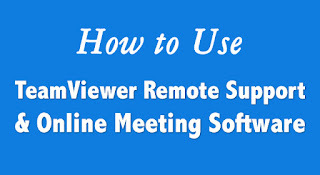 Resulted file will be saved in .tvs format and the video file will be played inside teamviewer only. The best thing is your partner can also see what you are doing on his screen and both of you can work together. This is good for some college presentation, mind mapping or such stuff which need group work.